Since 2007, my research work has focused on designing simplified physical models allowing for the behaviour of surface fires to be described. One of the facets of this work entails the development of a simplified physical model capable of providing, in real time, the physical characteristics of surface fires depending on the wind, ground slope and characteristics of the fuel. Drawing on "strong" hypotheses, it is possible to obtain analytical models involving rapid calculations which are therefore likely to be used in operational situations. Our group of researchers is also working on a transient propagation model that can describe the conditions of ignition and the development of eruptive fire. Current efforts are focused on the development of a convective model to be used in conjunction with a purely radiative model so as to provide a comprehensive model that can be used on any type of plant stratum and at any level. Work has concurrently been directed towards the quantification of thermal radiation impacting a target and the development of a safety distance model. To this end, collaborative, cross-disciplinary work has led to the development of a decision-making support prototype called DIMZAL, coupling the fire spread model with the safety distance model. We are currently working on being able to take into account a type of target other than that of a firefighter, which could be a dwelling for example. Finally, work conducted in collaboration with the University of Aix-Marseille concerns the quantification of the characteristics of the vegetation (such as its moisture content) preventing fire spread. The author (on fire-related topics) of six international publications, and has taken part in nine international conferences. « "A convective model for laboratory fires with well-ordered vertically-oriented fuel beds", F.J. Chatelon, J.H. Balbi,D. Morvan, J.L. Rossi and T. Marcelli, Fire Safety Journal, 90 (2017), 54-61. DOI: 10.1016/j.firesaf.2017.04.022. « DIMZAL: A Software Tool to Compute Acceptable Safety Distance ", P.A. Bisgambiglia, J.L. Rossi,R. Franceschini, F.J. Chatelon, P.A. Bisgambiglia, L. Rossi and T. Marcelli, Open Journal of Forestry A, 7 (2017), 11-33, DOI 10.4236/ojf.2017.71002. « Surface Fires: No Wind, No Slope, Marginal Burning ",J.H. Balbi, D.X. Viegas, J.L. Rossi, C. Rossa, F.J. Chatelon, A. Simeoni, D. Cancellieri and T. Marcelli, Journal of Environmental Science and Engineering A, 3(2) (2014), 73-86, ISSN: 1934-8932. « "Modelling Eruptive Fire Occurrence and Behaviour ",J.H. Balbi, F.J. Chatelon, J.L. Rossi, A. Simeoni, D.X. Viegas and C. Rossa, Journal of Environmental Science and Engineering B, 3(2) (2014), 115-132, ISSN: 2162-5263. « "Generalized Blaze Flash, a Flashover behaviour for forest fires – Analysis from the firefighter’s Point of View", F.J. Chatelon, S. Sauvagnargues, G. Dusserre, and J.H. BALBI, Open Journal of Forestry, 4 (2014), 547-557, DOI 10.4236/ojf.2014.45059. 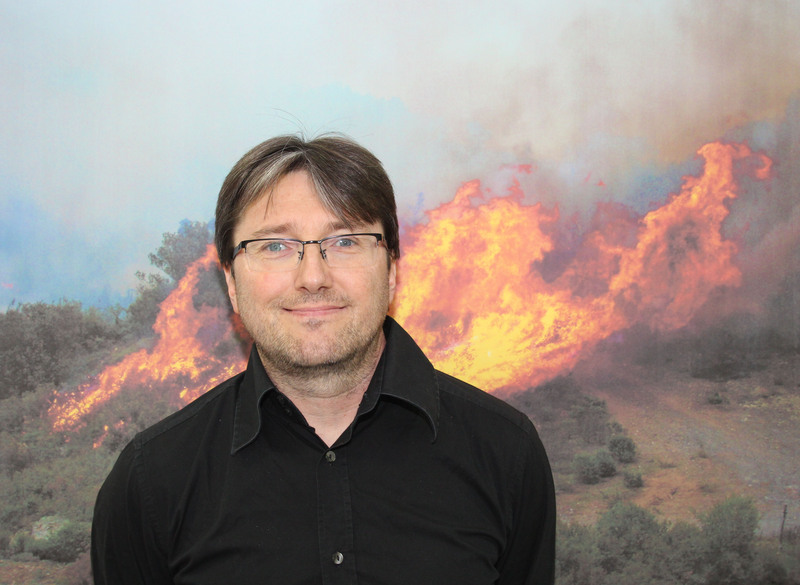 « "Determining a safety condition in the prevention of eruptive fires", F.J. Chatelon, J.H. Balbi, J.L. Rossi, A. Simeoni, D.X. Viegas and T. Marcelli, VII International Conference on Forest Fire Research, 17-21 November 2014, Coimbra (Portugal). DOI: 10.14195/978-989-26-0884-6_148. « "Mobile application based on a physical model to calculate Acceptable Safety Distance", P.A. Bisgambiglia, R. Franceschini, F.J. Chatelon, J.L. Rossi,P.A. Bisgambiglia, VII International Conference on Forest Fire Research, 17-21 November 2014, Coimbra (Portugal). doi: 10.14195/978-989-26-0884-6_157. « Dominant preheating transfer mechanism in wildfire propagation: radiation or convection? ", F.J. Chatelon, J.H. Balbi, J.L. Rossi and T. Marcelli, Fourth Fire Behavior and Fuels Conference, 1-4 July 2013, St Petersburg, Russia, pp390-393. « "Convective - Radiative model for surface fires", J.H. Balbi, F.J. Chatelon, J.L. Rossi, J.B. Filippi, F. Morandini and T. Marcelli, IDEA Numerical wildfires, IESC, 13-18 May 2013, Cargese, France.